Jonathan O’Connell’s 100th career victory highlighted Republic’s performance at the Columbia Hickman Invitational. The Tigers took only four wrestlers to Columbia, but two of them won championships. 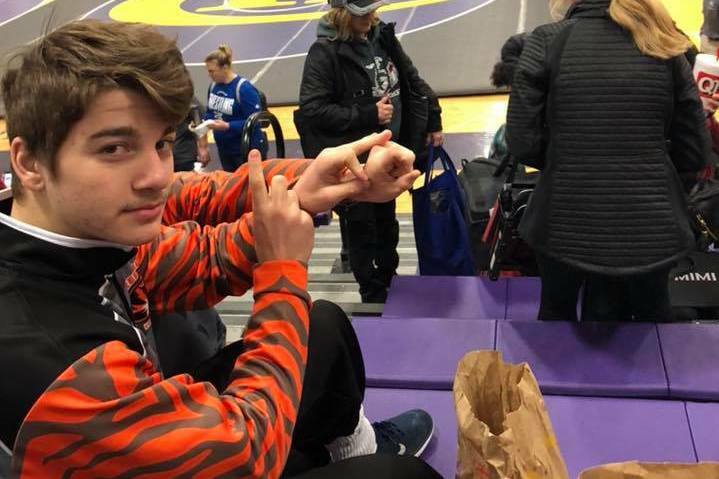 O’Connell’s 100th career win came Friday against Aydin Rodriguez of Columbia Rock Bridge. O’Connell pinned Rodriguez in the first round. It helped set up an undefeated weekend for O’Connell, who finished first at 138 pounds. He’s 23–1 this year, with his only loss coming at the Kinloch Classic, where he was wrestling up a weight class. Michael Taylor, wrestling at 132 for Republic, also won the tournament title. Taylor beat Clayton Hurley of Jefferson City in the championship match to improve to 26–5 this season. Wyatt George placed third at 106. His only loss was in the semifinals, to undefeated Owen Uhls of Fulton. George rebounded to win his next two matches, including a sudden victory over Ethan Barr of Hickman in the third-place match. Gabe Hesington also competed, winning his last two matches at 126 and finishing 11th overall. Here are the results of Republic wrestlers competing at the Kickapoo JV Tournament, with the division followed by the wrestler’s results. Dominick Famiano’s place is 2nd and has scored 4.0 team points. Isaiah Madson’s place is 2nd and has scored 14.0 team points. Isaac Gyles’s place is 5th and has scored 2.0 team points. Michael Bailey’s place is 2nd and has scored 14.0 team points. Ethan Piles’s place is 4th and has scored 4.0 team points. Isaac Collyott’s place is 2nd and has scored 14.0 team points.